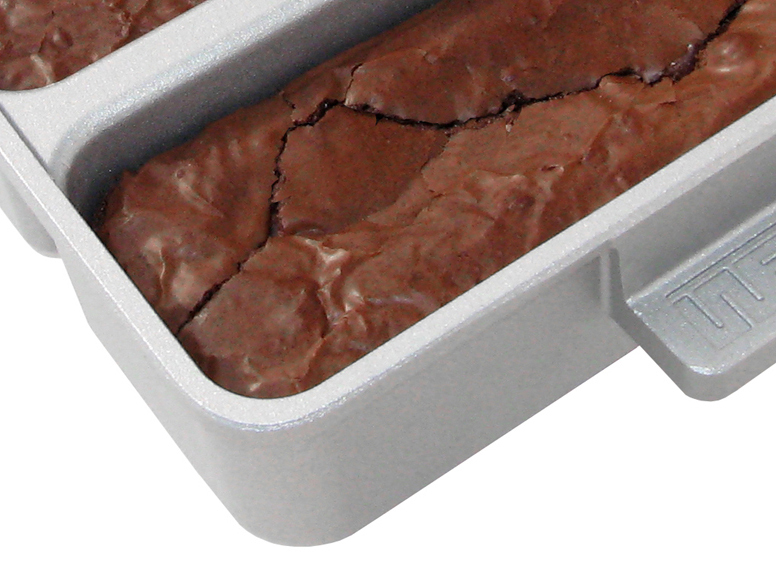 Brownie fanatics, meet your new best friend. Love brownies? So do we. (Who doesn’t, right?) We think the best ones have moist centers, a paper-thin crackly crust, and lots of chewy edges. 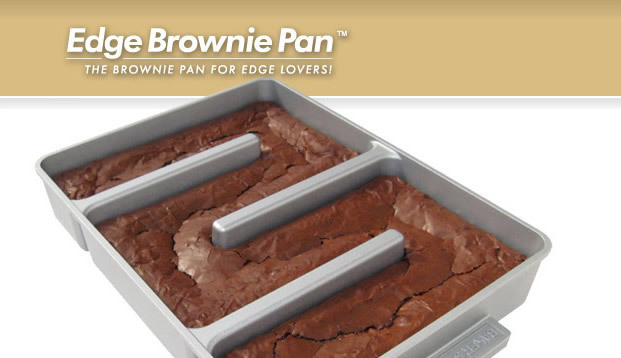 If you agree, you’ll love the Edge Brownie Pan™. 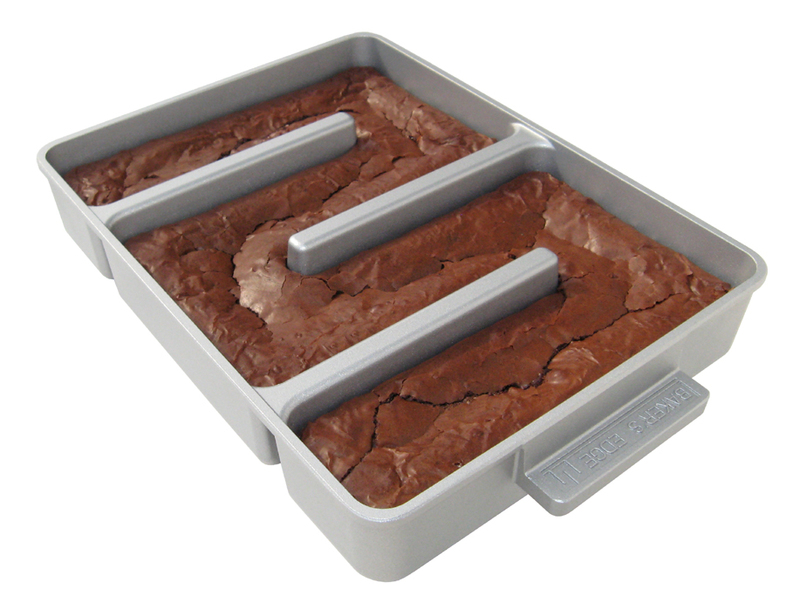 It's the only gourmet brownie pan that adds two chewy edges to every serving. 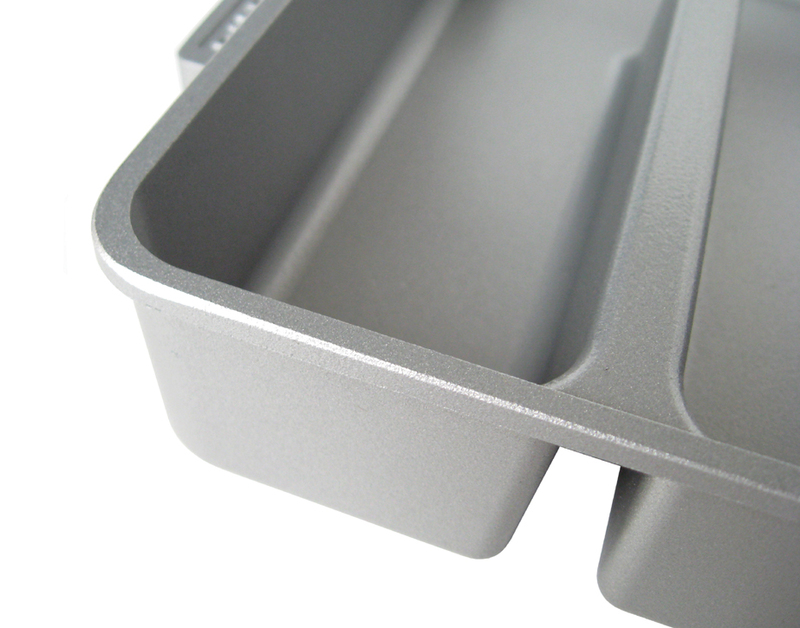 The pan’s patented sidewalls also improve baking performance by circulating heat evenly to the pan’s middle, where food typically takes longer to bake. 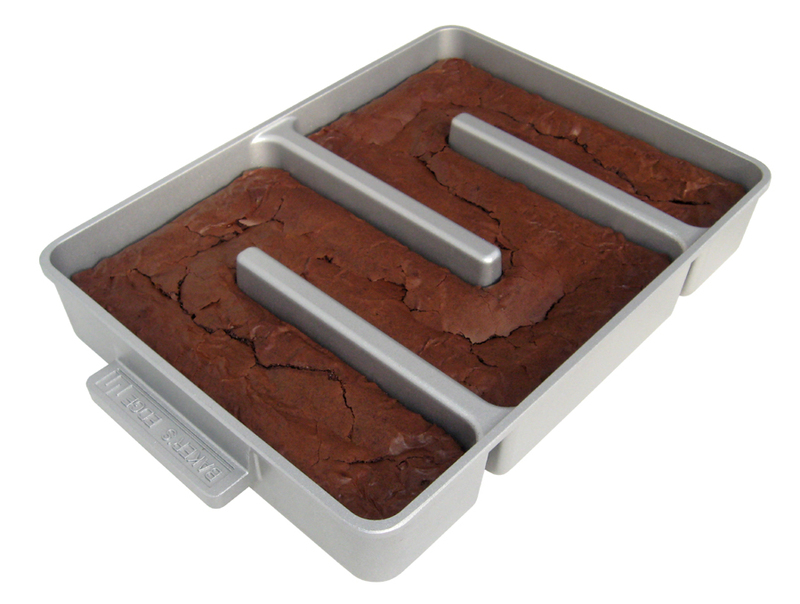 Unlike baking pans that have multiple cavities (like a cupcake pan), our single-chamber design allows the batter to be easily spread. Use a flexible spatula, or simply give the pan a few firm shakes. The batter will settle evenly throughout the pan during baking, so every serving will be baked to perfection at exactly the same time. 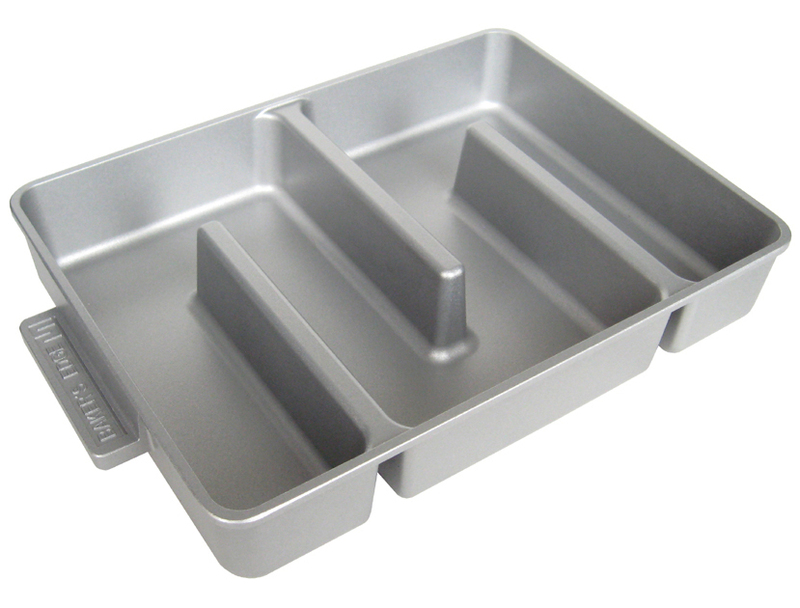 Our pan also has a quality nonstick coating and smooth, round corners so it’s always easy to clean. 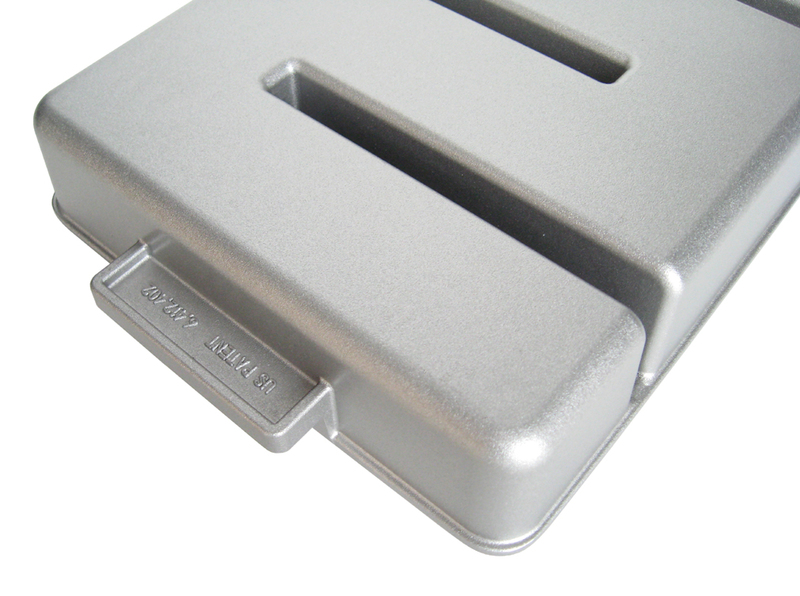 It's made of heavy-gauge cast aluminum for superior strength and the 9” x 12” size is perfect for box mixes, as well as most recipes for 9” x 9” and 9” x 13” conventional pans. 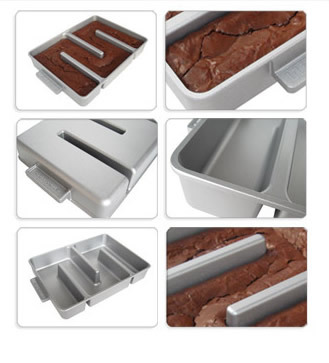 A nylon spatula and a brownie recipes insert are included. Show, and the home pages of MSN.com and AOL.com (twice). 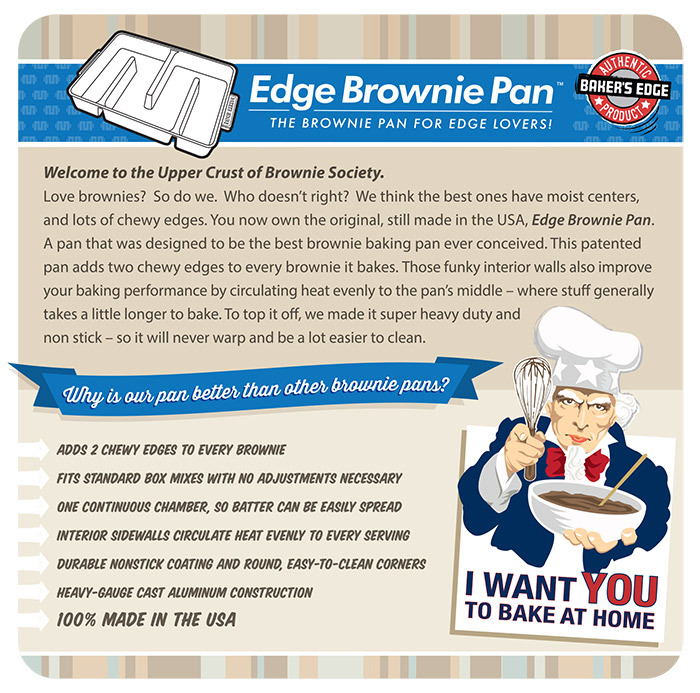 Like all Baker's Edge® products, the Edge Brownie Pan™ is manufactured, packaged, and warehoused entirely in the USA.